Almost time for my next trip, on Monday I'm heading to Seattle! So excited! Since I'm packing for fall, sweaters, jackets and jeans are a must, and they take up quite a lot of space. So fingers crossed I can fit everything I want to bring! 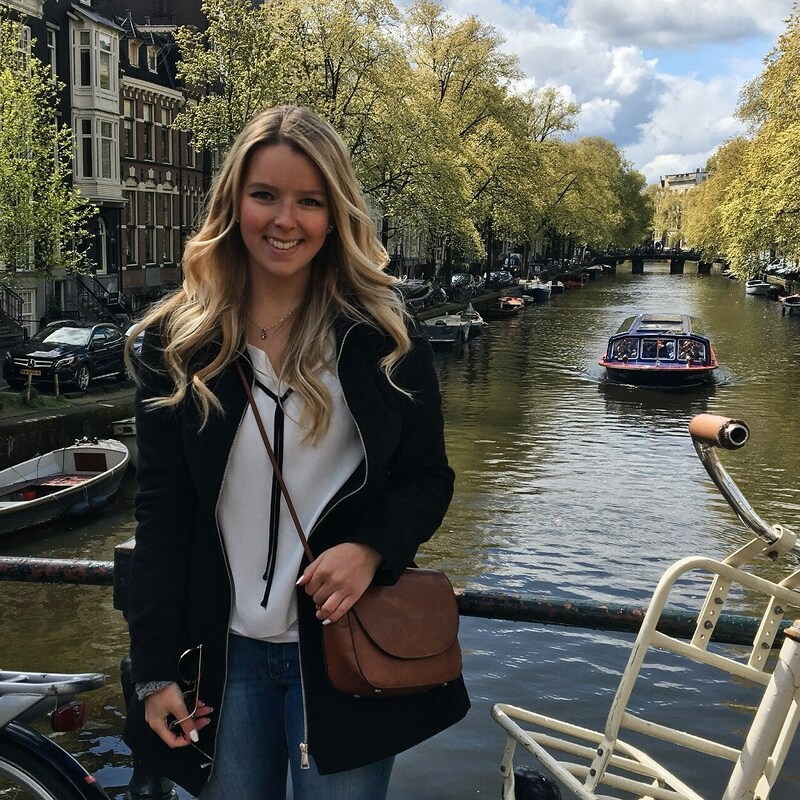 I figured I'll tell you all a little about how and what I pack for most my trips and make sure you read the tips down below! My goal is always to start thinking about packing around 2-3 days prior to departure. Mainly incase you need to do some laundry before hand or if there is anything last minute you need to buy, like gifts and for me, Swedish treats that friends are asking me to bring haha. But hey, sometimes it's easier said than done and I think we've all been there stressing our butts of trying to get the packing done smoothly and on time. I usually start with just throwing stuff into the suitcase out of the closet, like statement items I know for sure I want to bring, then I go on to basic iteams. And when my whole bag is like a mountain of clothes I start to organize them on the bed in categories, like pants, tops, dresses and so on. That's when I get a better look at it all and can notice things like, I for example could have picked out 7 dresses for a winter trip. As an example this is what I'll pack this time. Clothes: T-shirts, Sweaters, Blouses, Jackets, Jeans, Other pants, Skirts, Dresses, Underwear, Workout clothes, Shoes. Tech: Laptop, Camera plus lenses, Chargers for them all, adapter for my laptop plug, headphones. For the Carry on/Purse. Passport, papers, a good read, empty water bottle, toothbrush (for long flights), gums, snacks, hand lotion. Tip 1: A few trips back I started using those plastic vacuum storage bags to get more space in my bag. In the beginning I used the ones where you have to vacuum the air out of the bags, but since you probably are going to a destination where you won't have access to a vacuum on the return trip, I decided to get the smaller bags that you roll out the air from. I always do this as the last thing before closing the suitcase though, just incase they do start to inflate back a little. 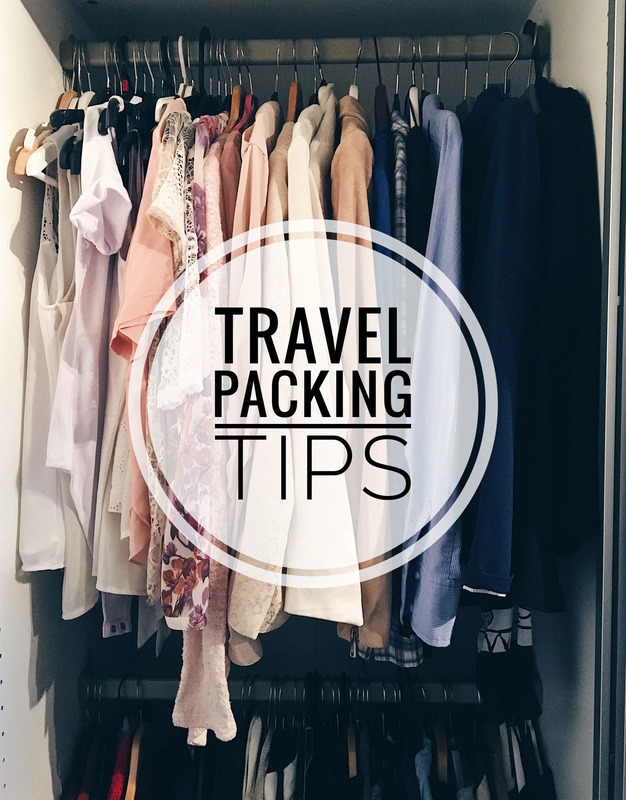 Tip 2: Wear your bulkier iteams like a coat and boots on the plane to save space, but just make sure you don't layer too much since it an get pretty hot and heavy carrying them all around if you have a layover. If you have a direct flight I really recommend doing it though. Tip 3: Don't forget to fill the space inside your shoes! It might feel like an obvious tip but it's easily over looked. I usually end up filling them with socks or delicate things that I don't want getting damaged. Tip 4: Invest in a travel bag for your jewelry. I got one like 2 years ago and it has made my life a lot easier! Mine has 5 compartments with zippers and I can organize it with rings in one, earrings in the other and so on. It makes them all stay in place and not tangle, plus if you keep using it during your stay you'll always know where your jewelry is. And remember this is how I pack for a long trip with a suitcase, there are other things to think about if your only going away for a weekend trip or lets say you only have a carry on bag. Now I better take my own advice and start preparing for this upcoming trip, I'm so excited to see Mike again and be back in Seattle!